A 60-year legacy of service is remarkable for any small business. 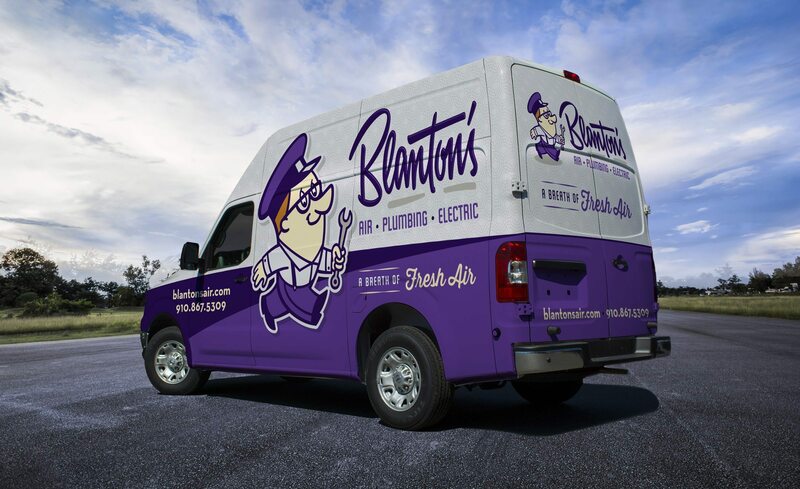 But Blanton’s Heating & Air, a reputable HVAC company in a crowded North Carolina market, needed something more. William began to examine his marketing pieces, to determine the company’s values and unique value proposition. After thorough consideration, the company decided on a ‘50s theme that married well with the company’s founding date. 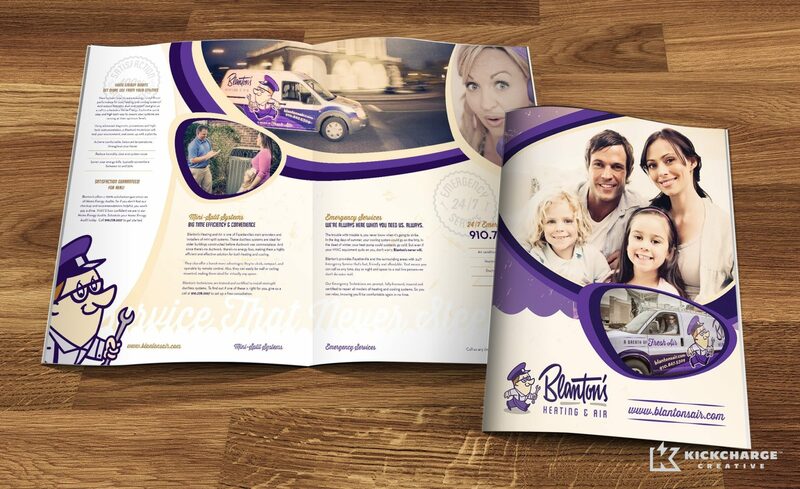 Blanton’s reached out to us with the need for a retro theme and a comprehensive marketing strategy that would further increase brand recognition and sales. During our analysis we uncovered the primary target audience needs, and discovered what motivates them to make HVAC-related decisions. We also identified the current market perception of Blanton’s, and diagnosed several challenges – such as being located in a community inundated with HVAC contractors. Based on this analysis, we concluded it was critical to create a brand that would stand out in a sea of competitors. 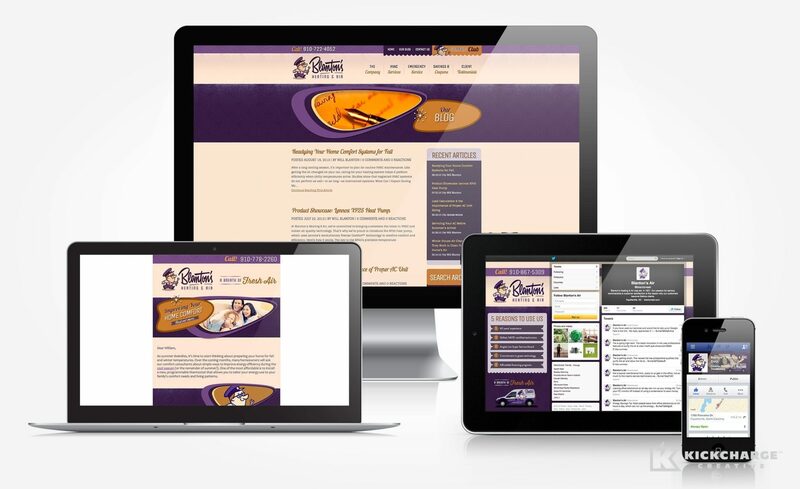 We developed a brand with a 1950’s flair that is anything but stodgy. 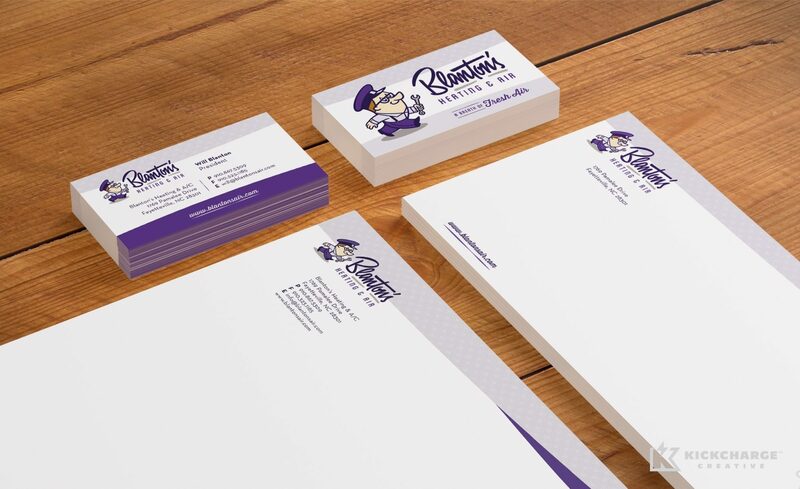 The new Blanton’s brand is fresh, personal and professional. 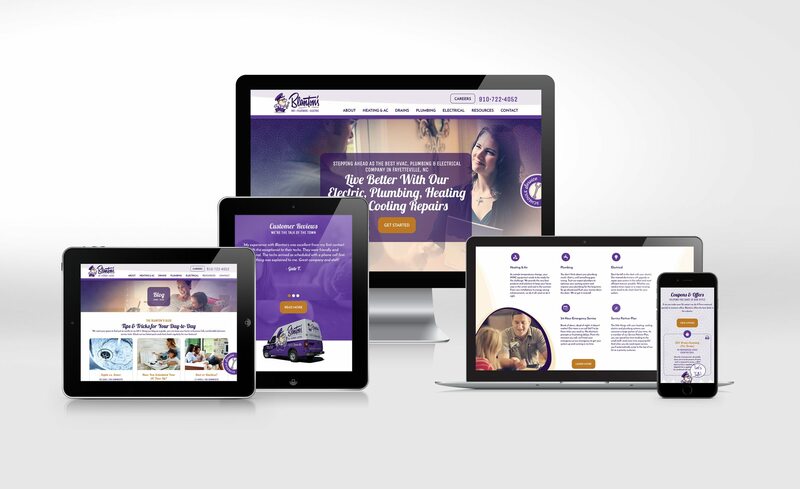 A purple and orange color scheme radiates comfort, while a period font brings the vintage theme home. 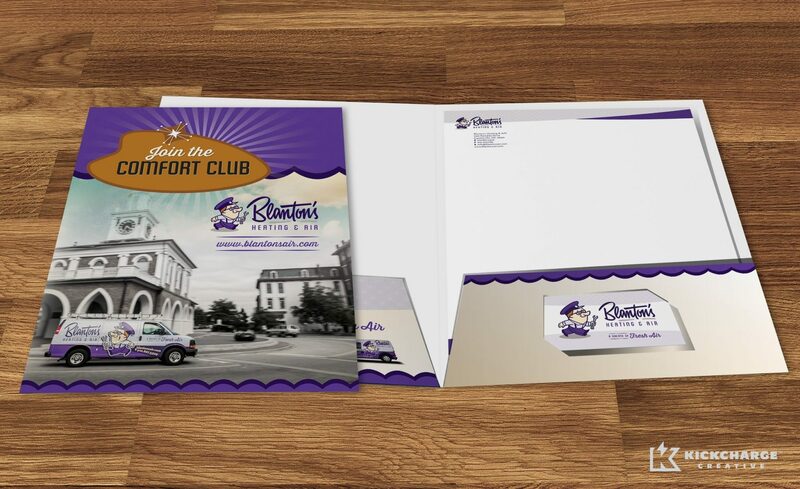 Once the new brand was established, we integrated it into the stationery and vehicle design, collateral, social media and website. Completing the retro look are organic geometric shapes with space-age accents used on the company’s collateral and website. We leveraged the company’s digital space to promote its philosophy: achieving quality through product choices, technology-driven innovation, superb service, and unparalleled expertise. 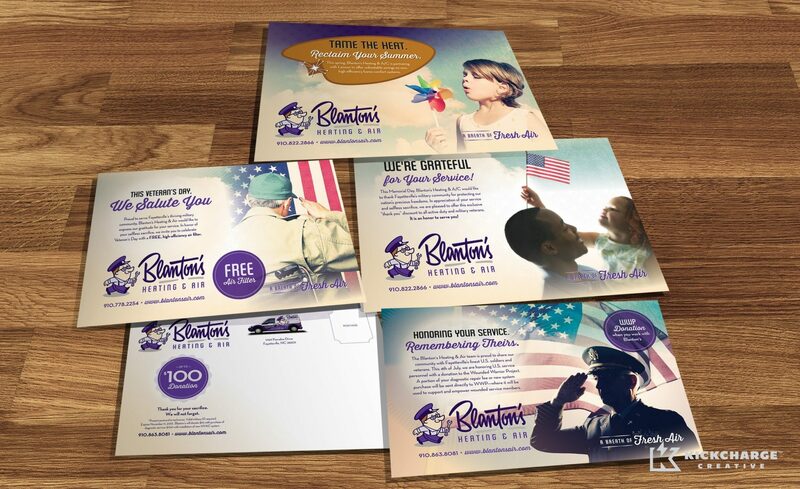 It was important to position Blanton’s Heating & Air as a trusted partner for reliable, smart HVAC solutions—and we accomplished this through a blend of design and content. “Our marketing pops now, our brand is awesome and we look like the company we really are,” said William. It was a pleasure partnering with such a well-respected HVAC contractor, and the Blanton’s crew is truly a class act. Now they have a brand they can be proud of—and the marketing tools to reinforce their philosophy. Bottom line, though, is “the best looking trucks in our area are ours,” according to William. 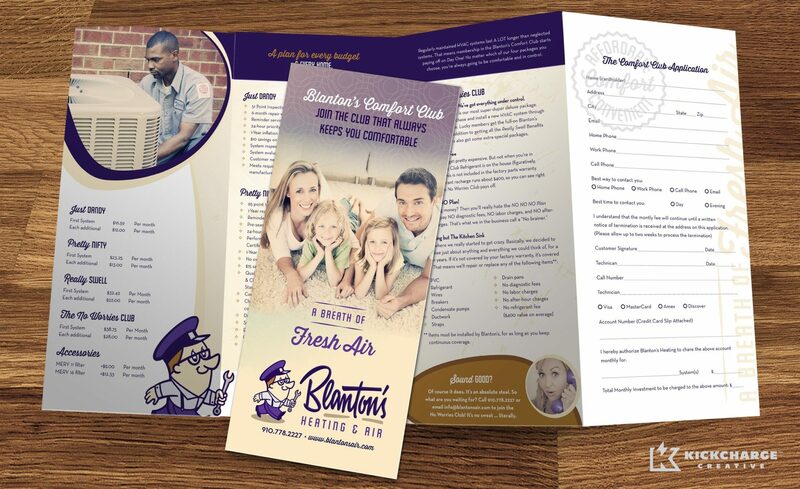 Only a few months after the rebrand, Blanton’s began seeing a positive impact.